According to the International Lesbian and Gay Association (ILGA) seven majority Muslim countries still maintain the death penalty for homosexual activity. They are Afghanistan, Iran, Mauritania, Pakistan, Saudi Arabia, Sudan, and Yemen. In northern Nigeria, where some states use Sharia law, homosexuality is also punishable by death. In Iran gay men are normally arrested under other trumped up charges. But in September 2011 three men were executed for homosexuality. Tim Flatman (Solidarity 3/192) claims labour movement organisations were “culturally alien” to South Sudan and that we should not “impose” them on the new country. Undoubtedly, labour movements as we know them in the advanced-capitalist world cannot be wished into being in a massively less developed country. But what is the “culture” that workers’ organisation seeks to embody? Simply the “culture” of organising the exploited against their exploiters. This is something common to all human culture throughout history. Tim Flatman, who has recently returned from the region, concludes a series of three articles about South Sudan. The process of referendum has had positive consequences for grassroots independent political organisation in South Sudan. In the first complete results of a referendum, 99% of South Sudanese have voted to secede from the north. Tim Flatman recently spent three months in South Sudan and continues a series of articles on the future of a new country, set to become independent in July. Jobs, working rights, public services and control of resources are the current demands of southerners. Tim Flatman recently completed a three-month tour of South Sudan. In the first of a series of articles he reports on the recent referendum on secession and the future of the social movements in the new country. Any election or referendum where the final result is expected to beat Alexander Lukashenko’s latest showing by nearly 20% on a 95% turnout would normally be regarded as suspect. To anyone familiar with the politics of South Sudan, however, a 99% vote for secession in a free referendum (held on 9-15 January) is highly plausible. 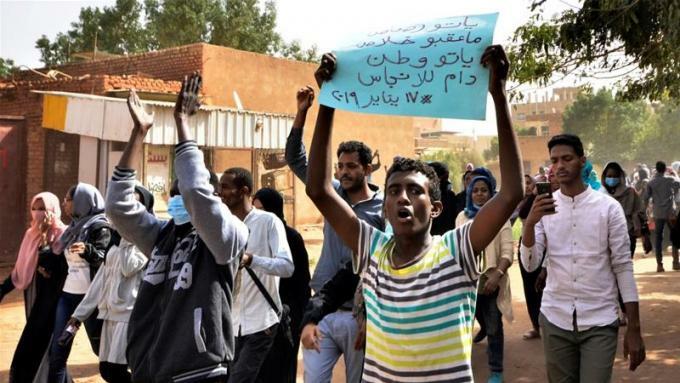 Read more about Sudan succession vote, what next? The International Criminal Court (ICC) in The Hague has issued a warrant to arrest the Sudanese President, Omar al-Bashir. He has been indicted for war crimes, but not for genocide. For sure, behind the legal process lie the political interests of the big western powers. After effectively tolerating Bashir for many years, they now want to see the back of him. But it does not at all follow that socialists should oppose these moves (whether the ICC succeeds in arresting Bashir or not). She also expressed hope that news of her experience would not stop westerners from going to Sudan. Read more about What if “teddy” teacher were Sudanese? Read more about Peace in Darfur? Stop the deportations to Darfur! At the end of March, the National Coalition of Anti-Deportation Campaigns reported that, across the country, the Home Office had accelerated its programme of rounding up and deporting Sudanese asylum-seekers, including people from war-ravaged and ethnically-cleansed Darfur. Read more about Stop the deportations to Darfur!